September 9th 2018 - ATLANTIS, Fla. – This week, Championship Tour Event #8 was held at Trump National Doral on the Red Course in Doral, FL. Two familiar faces captured victories on the difficult course. The boys’ division featured a packed leaderboard this weekend. Following play of round one, four juniors found themselves tied for the lead after rounds of 1-under-par 71. Out of the four players, Sebastian Nachilly of Jupiter, FL was the only one to follow up his round one with a solid final round. Nachilly posted a final round 73 and finish with a tournament total of 144. Anthony Amoroso of Homestead, FL fired an opening round 1-over-par 73 and was able to fire a final round 1-under-par 71 to force a sudden death playoff with Nachilly. After a one-hour lightning delay, the playoff ended after one hole. Nachilly made par on the par-5 18th hole to capture title. Amoroso took home the boys’ 13-15 age division, while Wellington, FL native Fernando Castillo took home the boys’ 13-15 age division. Skylee Shin or Doral, FL returned to her winning ways this weekend. Shin fired back to back rounds of 72 to capture the girls’ division title by six strokes. Amelie Alcantara of Plantation, FL took home the girls’ 13-15 age division, while Laura Lou of Miramar, FL took home the girls’ 16-18 age division. The SFPGA Junior Tour presented by The Honda Classic is a membership-based tour open to boys and girls ages 9-18 in South Florida with the aspirations and skill levels to compete at the High School and Collegiate level and features some of South Florida's most talented junior golfers. The Junior Tour offers twenty-nine two day championship events for junior golfers in South Florida. The 39 events are divided between the Championship Tour, an invitational tour featuring extended yardages, the Challenge Tour and Prep Tour. The South Florida PGA Junior Tour is proudly presented by The Honda Classic and supported by Junior.Golf, The Boca Raton Regional Hospital Championship, Precision Pro Golf, Florida Institute of Performance, Florida Gulf Coast University, Palm Beach County Sports Commission, Pukka, SACSN, The Men’s Fun Group at Mirasol, and Titleist. The South Florida PGA Junior Tour, run under the South Florida PGA Foundation, is committed to its mission of keeping membership and tournament-related costs low while providing first-class quality golf at thirty-nine championship courses throughout South Florida over the course of the entire Junior Tour season. 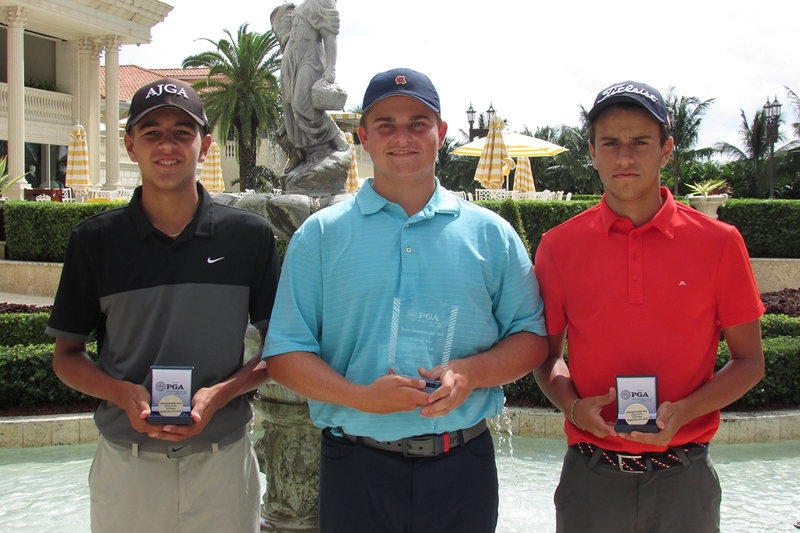 For more information on the Junior Tour and its respective junior tours, please visit the new South Florida PGA Junior Tour website at www.sfpgajuniorgolf.com.